San Francisco State! Go Gators! Any Gators in the house? Let me tell you how I got to my cable car college. I was a freshman at Yuba College in northern California—you have that confused look on your face. It’s the city college in Marysville—you still have that confused look on your face. I really wanted to go to Parsons School of Design in New York but I got rejected. Not cool. Since I didn’t have a plan B and my parents said: “If you live with us on our ranchito in Marysville, and go to the city college here, we’ll pay for your expenses.” I was living in San Jose at the time and I really needed to leave—the mob was after me. So I’m enrolled in this dumb geography class and this super beautiful white dude starts talking to me on a regular basis. I’m not attracted to Jason but he’s acting like he’s attracted to me which is odd because he’s giving off this gay vibe. He tells me next school year he’ll be moving to San Francisco so he can attend the Film Program at San Francisco State. Jason is always talking about how great the Film Program is and how living in San Francisco will be exciting. I’m thinking, dude—you’re gay that’s why it’s going to be exciting. He even mentions that people think he’s gay and how that’s so silly. Dude, they think you’re gay because you are gay. Regardless, I hang out with him because he’s sweet and we have this subconscious queer connection going on even though he says he’s not gay and I have a boyfriend. 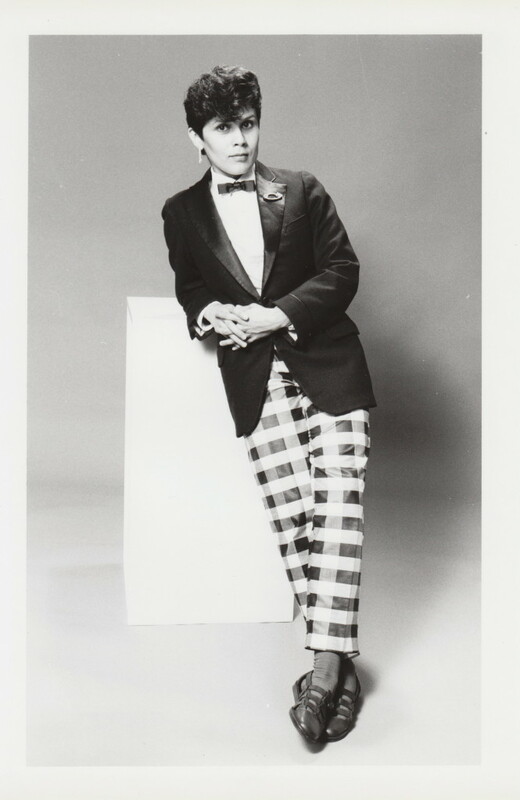 Fast forward two years 1980, I’m an official lesbian and I’m attending the Film Program at San Francisco State. Jeepers! I haven’t had any contact with Jason but I figure I will run into him sooner or later. I love being a student at this liberal campus. One of the highlights: Angela Davis is teaching here. Sting me like a goddamn bee! I would often see her in the distance, this statuesque black woman with this superior afro. She’d wear super bell bottoms that would come to her calf, sparkly socks and 6 inch platform sandals—magnificent. I wanted to talk to her, take a course from her but I couldn’t figure out how to do that because I was so immersed in cinema. A year goes by and I’m walking into the Film Building and this guy who looks like David Bowie strolls by me. My brain does some quick calculations and I realize—that’s Jason! I turn around and call out his name but the dude starts running and then he vanishes. I truly believe it was Jason. He most likely came to San Francisco, figured out he was gay and then turned into Ziggy Stardust. 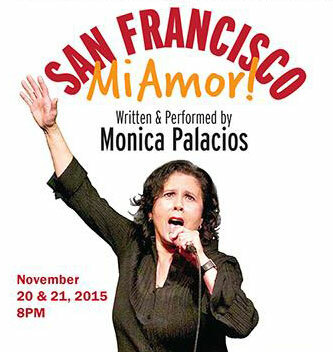 lesbian humor, Monica Palacios, San Francisco Mi Amor!